I’m proud of the fact that I’ve lost 30 lbs over the past 4 months — it’s the first time in years I’ve been able to successfully lose weight and keep it off. I’ve gone from a size 24 to a size 18. It feels GREAT to be wearing smaller jeans, and to be confident that I’ll be wearing smaller ones yet in another few months. 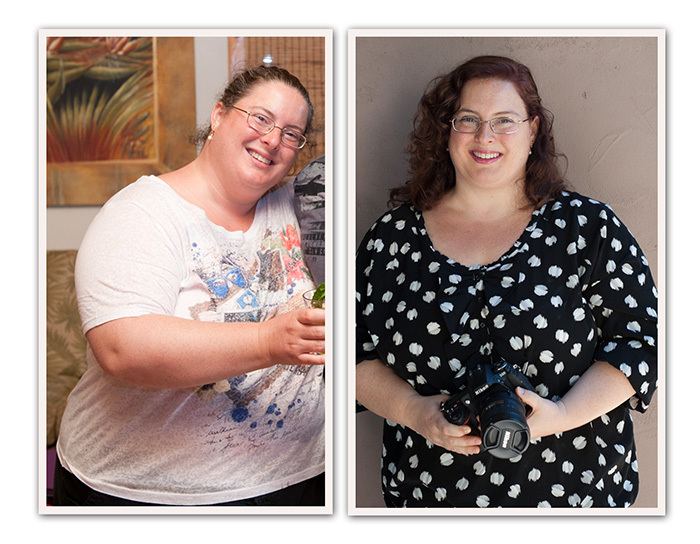 People have asked me what I’m doing, and the answer is Paleo Eating + CrossFit. Paleo is an eating plan that eliminates gluten, many grains, refined sugars, dairy, legumes (beans & peanuts), and artificial flavorings/colorings/chemicals. Basically it’s lots of vegetables, some meat/fish, sweet potatoes, some fruits, and more veggies. 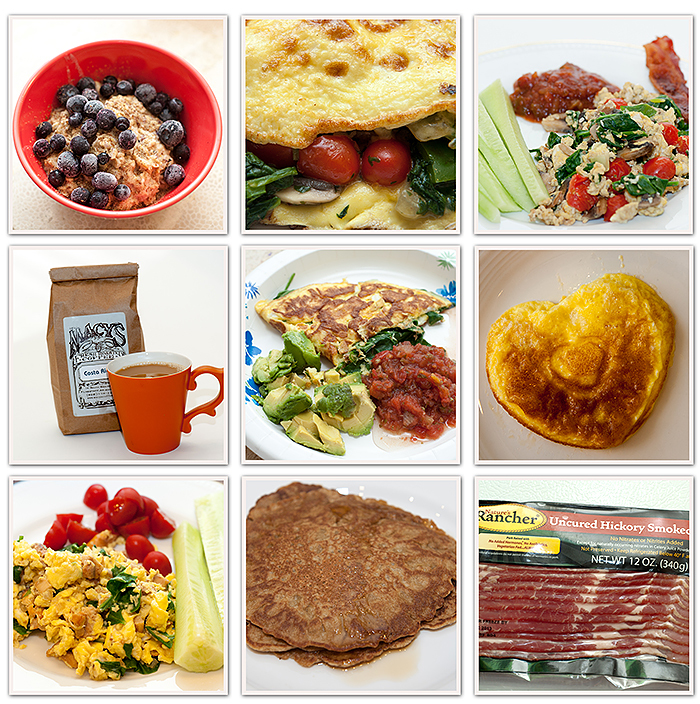 I wanted to share a look at what 4 months of modified Paleo (I eat beans, tofu, oats, and some dairy) eating looks like – pictured below are some of my most common meals. This is not everything I ate & cooked, but it’s a snapshot of how delicious and varied eating Paleo can be! For breakfast, I cook a LOT of eggs: Scrambled with mushrooms, onions, tomato, spinach, and pepper, hard boiled, or cooked as omelettes with veggies as a filling. My daughter gets plain eggs, sometimes shaped like hearts. Along with the eggs are veggies and occasionally bacon. And at least once a week I make “The Papa Oatmeal”, which is NOT Paleo, but which is delicious and healthy. (Shred up an apple, cook it in water with cinnamon until it becomes like applesauce, then stir in oats and full-fat milk, let it cook, then sprinkle on ground flax seed and blueberries.) I also make gluten-free pancakes with hazelnut flour, and sometimes I just have leftover chicken soup for breakfast. Lunches and dinners use a lot of veggies, chicken, and salmon — everyone in my family loves salmon, so it’s a great choice. I get wild-caught salmon that has NO red dye in it (be careful of farm-raised because it has artificial coloring added!). I also try to get organic veggies when it’s possible. Sometimes I’ll just roast a whole organic chicken for dinner, along with roasted veggies. It’s easy and delicious. I love spiral sliced zucchini stir- fried with garlic, spinach sauteed with caramelized onions or or with lightly-cooked garlic and white beans. I make a “green soup” with pureed cauliflower, broccoli, asparagus, spinach, beans and chicken broth. I cook adobo pork, beef taco meat, chicken soup, and stir fries with veggies and tofu. I love roasting broccoli and onions (or other veggies) in the oven until they get slightly charred and yummy…and if I have left-over bacon grease, I’ll use that to bake them instead of using olive oil. I also adore spaghetti squash, Thai curries, and shrimp veggie stir fries. Instead of using rice, I layer food over spaghetti squash or shredded lettuce as a base. Cucumbers are one of my favorite vegetables EVER, and my daughter loves them too. She’ll eat cukes, sweet cherry tomatoes, or crispy red bell peppers sliced up, so I serve those things quite often. I also make veggie juices in my juicer every day (or nearly every day). 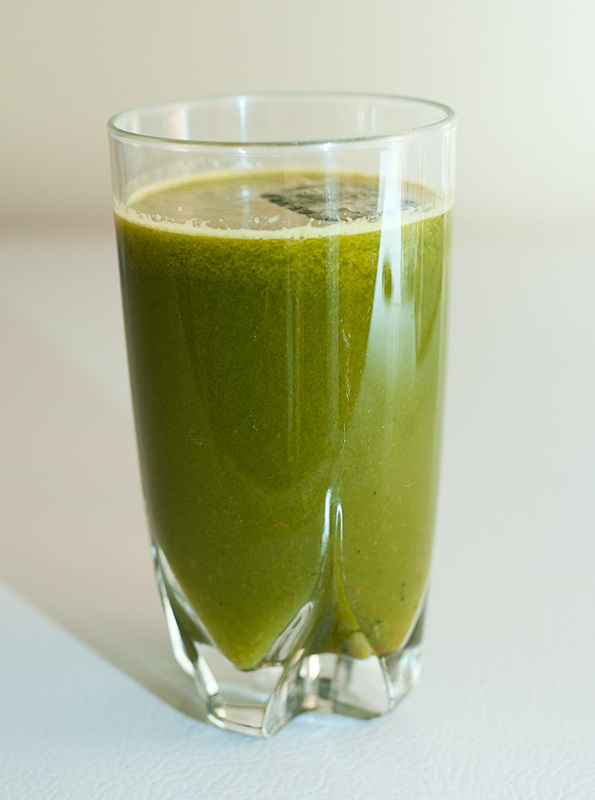 My favorite blend is celery, carrot, apple, parsley, spinach, lemon/lime, cucumbers, and wheatgrass. Sometimes I add chard or beets, but the others are the “go to” daily recipe. For snacks, I try to have almonds, almond butter, or dark organic chocolate. I sometimes have coffee with cream as a snack, too, or I make cinnamon tea. And sometimes if I’m craving something salty, I’ll cook up some bacon! I figure it’s better than eating a bag full of Cheetos and a can full of onion dip, and a few slices can usually cure my cravings and keep me sated for a good long time. Other times I’ll eat a piece of organic nitrite-free turkey breast (I like Applegate Farms from Whole Foods.) I usually have at least 1-2 squares of dark chocolate every day. It’s really AWESOME to be able to eat chocolate every day and still lose weight! I eat a modified Paleo diet, because I still have cream (organic full fat cream!) in my coffee, and I eat hummus and beans and tofu. But I’ve gone pretty much gluten-free and sugar-free, and I feel better and healthier than I have in a long time. I feel crisper and sharper; mentally clearer. It’s like a fog lifted gently off my brain after about a month of eating this way. I’ve also been sleeping better, my allergies (and snoring) have improved significantly, I have more energy throughout the day, and I seem to have more patience. Or perhaps feeling less tired and bloated makes me happier, and that leads to more patience! But either way, I’ve been feeling better and better the more I stay on my quasi-Paleo eating plan. The longer I go without sugary foods and chips, the less I crave them, and the easier it is to stay on track with healthy eating. Of course I allow myself cheat meals or cheat days. Last weekend I had delicious Indian food with friends, and I gladly ate the naan bread and rice in addition to the chicken. Sometimes I have pizza on the weekends.On my daughter’s birthday, I ate cake…and then more cake…and then several MORE slices of cake. But the next day I made sure to go back to the sugar-free eating, and in a few days I was back on track. It was VERY hard to stop eating the sugary foods once I started; it was like all of my dormant cravings suddenly came out of hibernation and started screaming, “Eat Doritos! Eat dip! Eat Oreos!” And that’s why I sort of prefer NOT to cheat massively if I can avoid it, because once I get the cravings going, it’s hard to push them back down. Smaller cheats seem to satisfy my need for sugar and/or “junk” without tempting me to eat a whole bag of chips and candy bars. Some people assume that eating Paleo means “all meat, all the time.” The truth is that it’s a lot more vegetables than anything, although meat is allowed and encouraged in the right quantities. I can and do eat grass-fed beef, bacon (organic & nitrite free), organic chicken, pork, etc. In fact, I have bacon several times a WEEK — more bacon that I had before eating Paleo! But if that concerns you, think about what I stopped eating: I no longer eat a big bowl of ice-cream every night, I no longer have 2-3 diet sodas a day, I quit eating my daily chips/dip and I eliminated my weekly fast food runs. And when I have pizza, it’s 2-3 slices, not 6 slices plus garlic bread plus wings plus leftover pizza the next day. When you compare, I think a few slices of bacon seems a FAR healthier trade, yes? I wouldn’t say this is the easiest thing ever, but it’s getting easier. And I like doing it, because I feel GOOD. I have a support system — one of my good friends, Andrada, eats paleo, and offers me advice. Another good friend, Jennifer, cooks healthy veggie-based meals that I sometimes copy. And at the Made In Crossfit gym there is a huge amount of support from people who eat Paleo and love to share recipes and cooking tips. 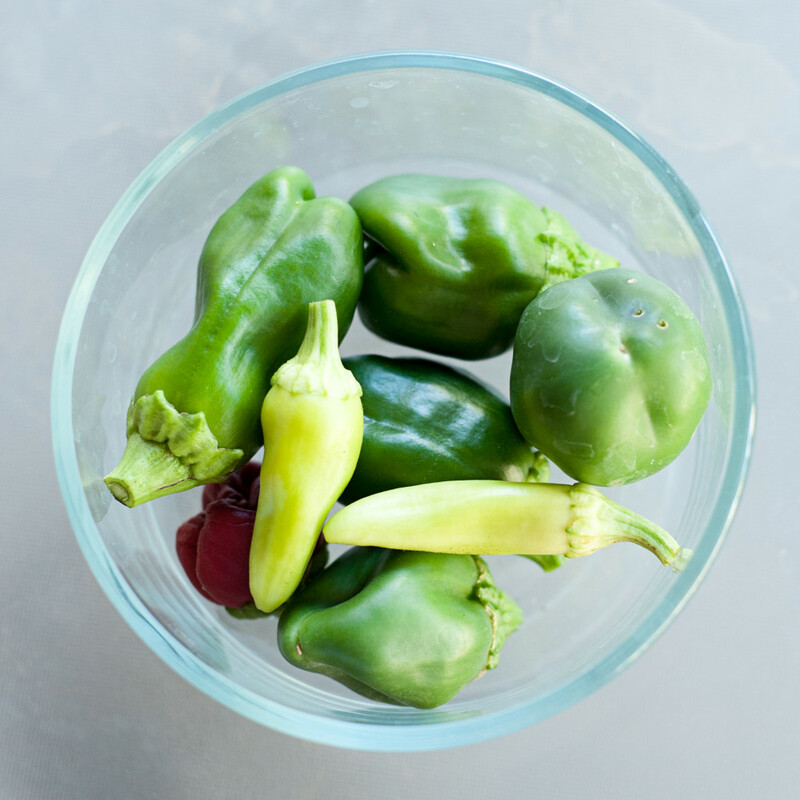 My husband started an amazing organic garden in our backyard, and I enjoy using our own vegetables in my cooking — it’s definitely clean, and the fresh taste is phenomenal! 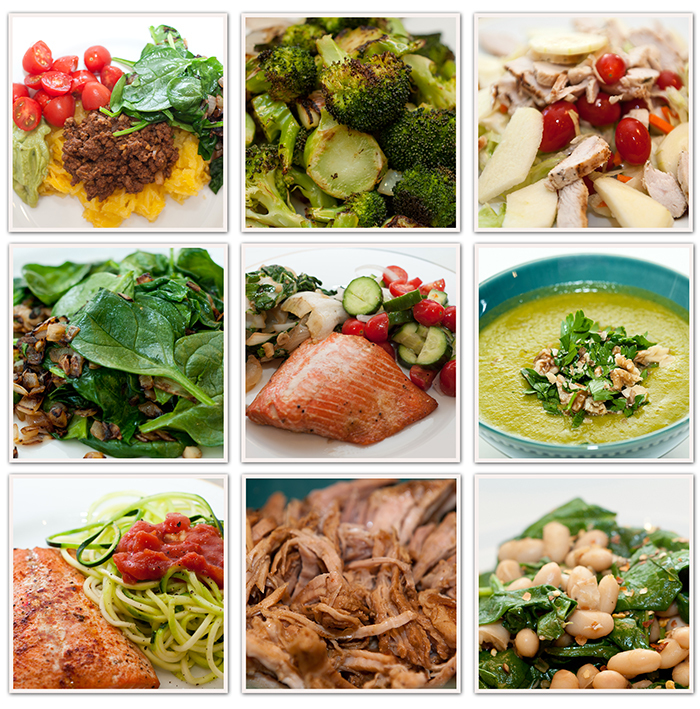 If you’re interested in making the switch to Paleo, it’s not that hard! For me, a modified approach works well. I think my diet is about 80% Paleo, and I still have the foods I just can’t give up (hummus, tofu, cream, dark chocolate.) And of course there are always the cheat meals. Some people believe beans contain ‘anti-nutrients’ which inhibit the absorption of vitamins and therefore should be avoided. But I’ve never had an issue with beans, and so far I seem to be getting all the nutrients that I need, so I’m sticking with my beaniness. I also love having cream and cheese now and then, so I do. I find that cheese can be a trigger for me, though — if I sprinkle cheese on top of my veggies and meat, I tend to eat almost double what I normally would, because I just love the taste and mouthfeel so much — so I avoid it unless it’s a special snack. And I need cream in my coffee to function…I just can’t stand it black. But avoiding gluten/wheat has REALLY helped me bypass the danger foods: Fast food burgers, chips, white bread sandwiches (If I eat one, I eat three – I can’t stop! ), cookies, pie, cakes — the things that have me eating them even when I’m so full that I feel sick. I think there are many ways to eat and be healthy, including vegetarian diets, vegan diets, Mediterranean-based diets, Zone, etc. This is just the one that is working for ME, and I plan to keep doing it in the future! I don’t know exactly what I’ll be eating in a year from now, but I do know that for the rest of my life I plan to avoid refined grains/sugars and to eat as many veggies as possible. I wish you happy and healthy eating! And now may I perhaps interest you in more reading? 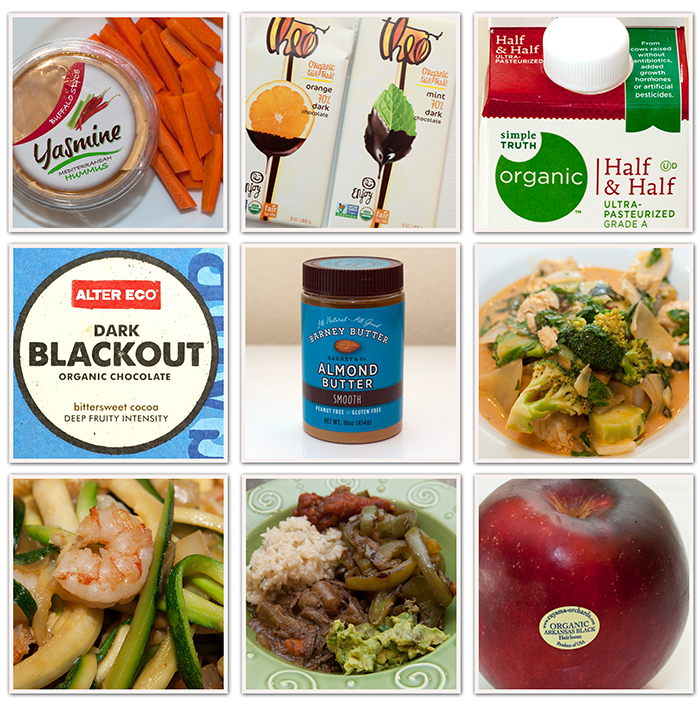 Here’s an article with more examples of Paleo foods. And here’s one of my favorites about my dog. And this one about memory techiques is super fun, in my opinion! Heck, here’s the whole list. Enjoy! This entry was posted in Uncategorized and tagged crossfit, diet, loss, Paleo, primal, weigh, zone by admin. Bookmark the permalink. You look great, your skin just looks healthy and glowing! Congratulations!!! I’ve been eating very similarly off and on for about 4 years, and I agree that you just feel so much better, healthier, have more energy, etc. when eating this way. I love it! I do tend to do more cheating with sugar around the holidays, which always leaves me feeling weak, tired, bloated and sick in January. But then I start back with clean eating again, and it’s like a relief and I feel so much better by spring. Keep up the good work! You are doing awesome! My husband wants to try out Paleo next month and I was a little scared to give up rice and noodles… But he will be doing all the cooking so I will try it. He has assured me he will NOT be the food police.Your post has helped me feel better about it. Thank you!